The Things You Can Do With.. If I Had To Chose.. This weeks #WednesdayMustHaves is a furniture piece that caught my eye at IDS this past weekend. This bright, string, unique looking chair definitely has a way of standing out amongst a crowd. 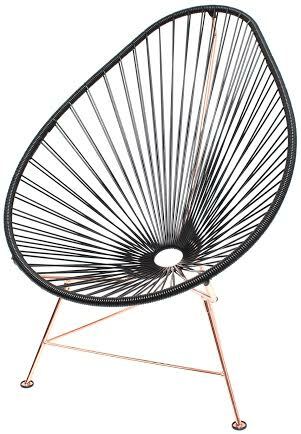 Little did I know is that the design of this chair goes way back to the 1950s where they were first created in Acapulco, Mexico. Acapulco was a tourist hot spot in the 50s and 60s. All the major celebs and rat pack would vacation there frequently. Word on the street is that the chair was created by a French tourist who claimed to be too hot sitting in the standard chair. Fast forward to 2011 when Paul Yacht (founder and principal of Innit Designs) decided to manufacturer the retro chair after getting so many inquiries and praise in regards to the chairs he used as cinema seating. Paul then brought the company to Toronto and Los Angeles. 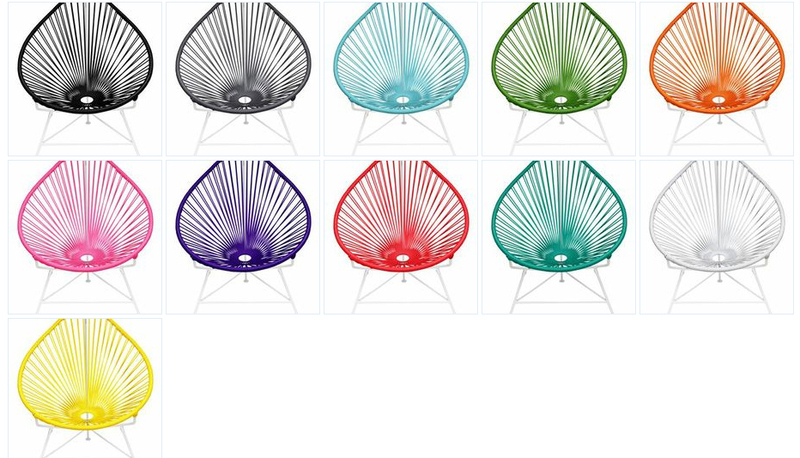 These Acapulco chairs are hand made in the USA and Canada. They are tested to endure high temperatures of heat as well as cold. 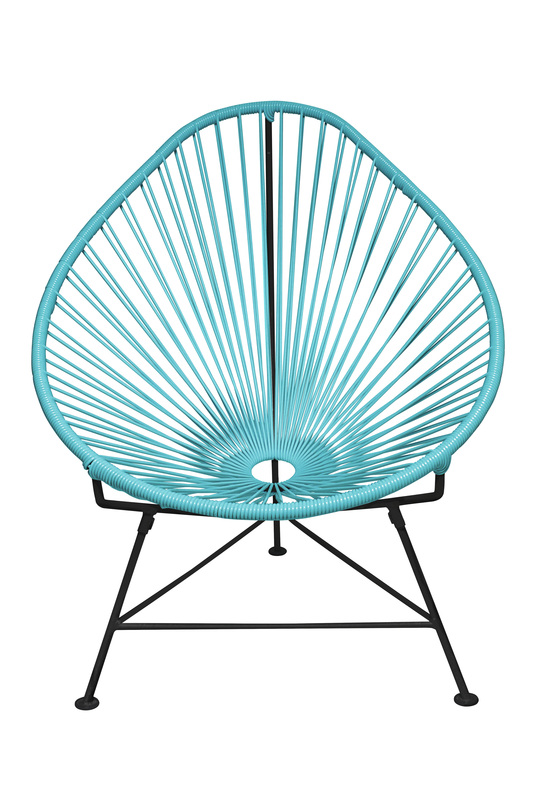 Making this the perfect contemporary chair for any climate. 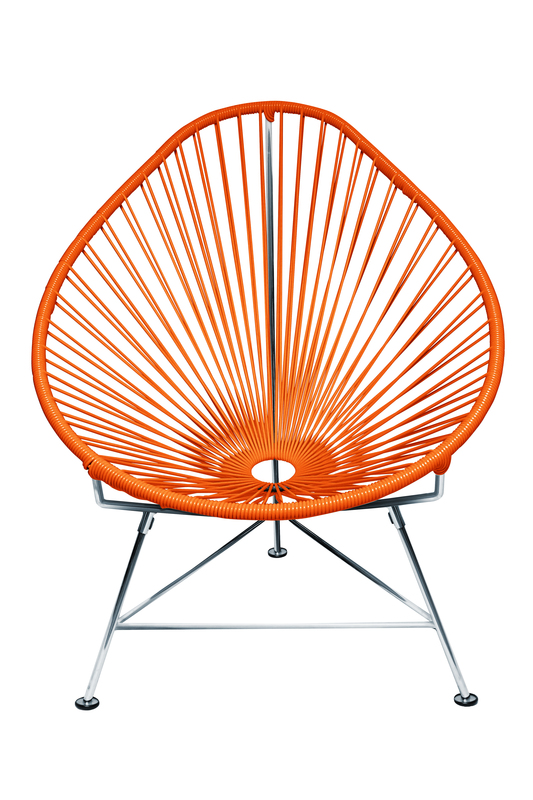 The Acapulco chair can be used either indoor or outdoors, just depends on where you need them most! There are plenty of options to pick from that will match your decor as there are 11 different color ways available as well as 4 different finishes – black, white, copper and chrome. For me personally my faves (because I can’t chose one) is the Tiffany blue with the black base as well as the Orange with chrome finish. And to top this design off they come in rockers! How cool is that? 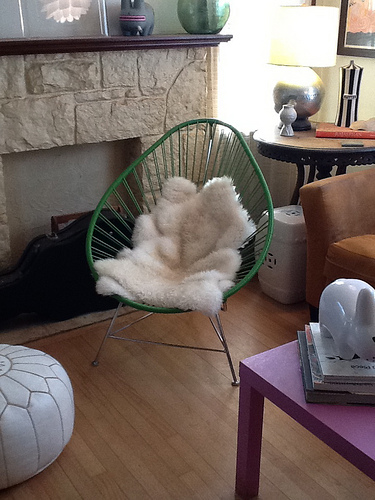 I had the pleasure of taking a seat in a few and let me tell you how comfortable they were – especially the rocker. I didn’t even want to get up. 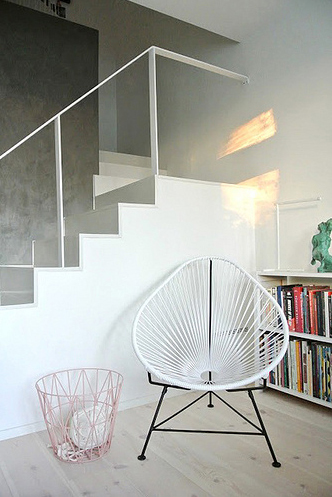 At first I was kind of sceptical as the seating is made from a string like material. But don’t let the ‘no cushion’ fool you. This is definitely a must have piece for any Urbanista’s home decor! Go to http://www.innitdesigns.com to check out what other unique designs they have.